The Centre For Digestive Health recently teamed up with Ephesus Seventh-Day Adventist Church to help families in the Parkgate and Kemp Road area prepare for the new school year. 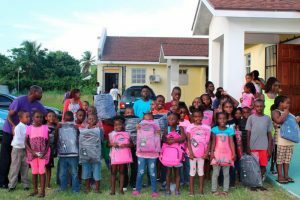 Free backpacks and school supplies were handed out to children grades six and under. Dozens of children received much-needed items to make the back-to-school transition easier…. but we try to accommodate patients from out of town or needing urgent attention. © 2017 Centre For Digestive Health. All Rights Reserved.